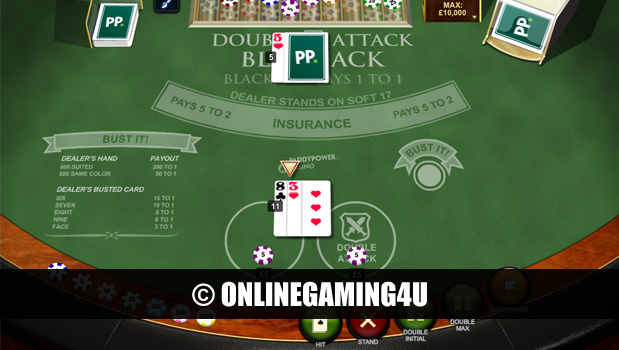 Summary: Double Attack Blackjack is a fantastic blackjack game with enhanced odds and fantastic features. 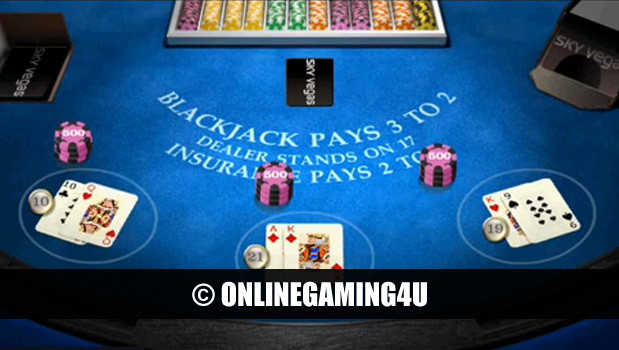 Double Attack Blackjack is a fantastic twist on the casino classic table game blackjack. 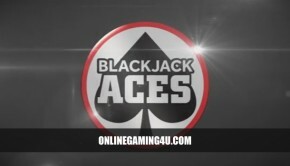 This great variation of blackjack follows the structure of the game closely, but with the player in the driving site and more ammo under their belt. The main difference with this variation is that players are allowed an additional bet after the dealers first card has been drawn. Therefore, you can check out how the house’s hand is shaping up and if you think it’s weak engage in a double attack. The game is played with 8 decks of 48 cards (Spanish decks) rather than the usual 52 card deck. In this case all of the 10’s have been removed from the decks. To play the game players select their chip / stake and play Double Attack Blackjack as they would normal blackjack, trying to get the total hand of cards closer to twenty one than the house dealers cards. If you feel that the dealer has a bad or poor first card on the initial turnover, you can take advantage of this and choose whether or not to place a Double Attack bet of equal or lesser value than your initial stake. An example of a Double Attack bet and how it works: Place a £5 bet and deal the cards. The dealer receives a 3 of clubs, you think this is weak so you take advantage of Double Attack. The Double Attack hand comes in to play and you place another £5 on this dealer circle. You then receive two sets of hands and have double the chance of winning. After each round of betting, used cards are returned to the deck and the deck is shuffled again. During a round of betting, players also have the option to win more money by using the Bust It side bet. This option allows you to predict if the dealers cards will bust (more than 21) on their 3rd card turnover.